Golden Gate Bridge is San Francisco's most famous landmark, opened in 1937. 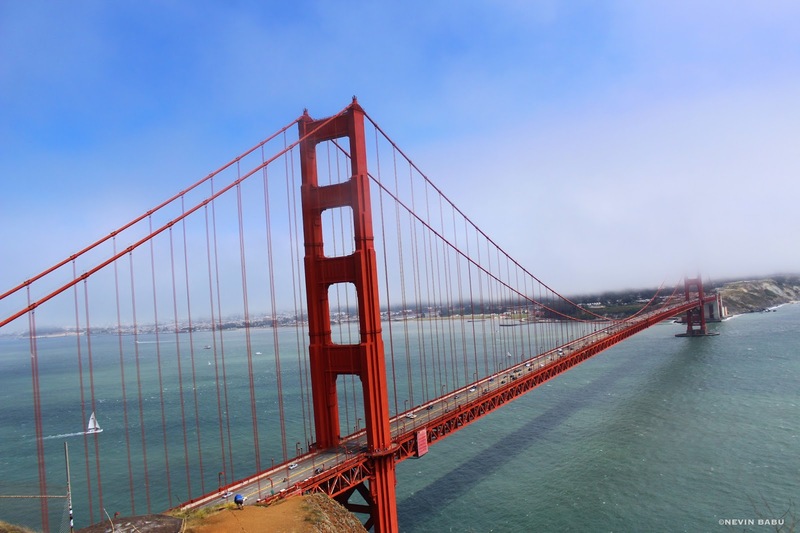 The bridge, which was designed by engineer Joseph Strauss was built to connect San Francisco with Marin County across the 1600 meter wide strait known as the Golden Gate which links the San Francisco Bay with the Pacific Ocean. Golden Gate Bridge was the longest suspension bridge main span in the world from 1937 to 1964. It has been declared one of the Wonders of the Modern World by the American Society of Civil Engineers. 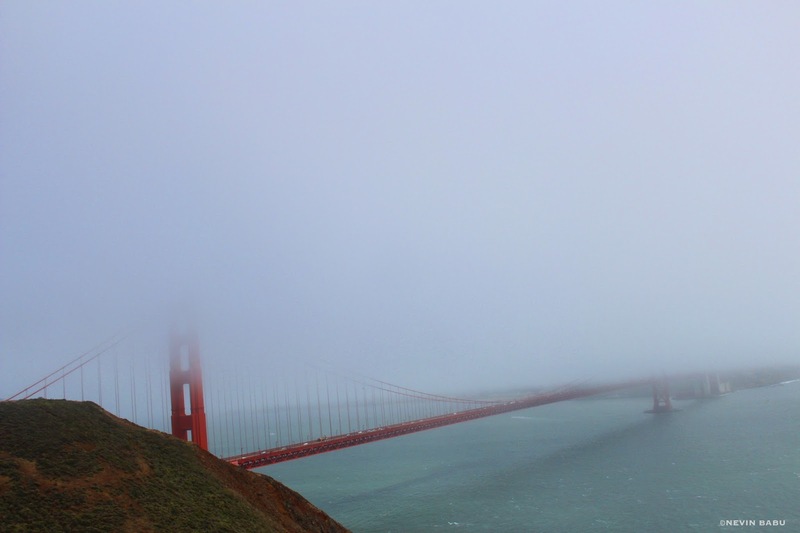 The Golden Gate Bridge has an influence in directing fog as it pushes up and pours down around the Bridge. "Advection fog" forms when humid air from the Pacific Ocean swoops over the chilly California current flowing parallel to the coast. The fog hugs the ground and then the warm, moist air condenses as it moves across the bay or land. Golden Gate bridge has featured in many movies like Rise of the Planet of the Apes(2011), San Andreas(2015), X-Men: The Last Stand (2006), Big Hero 6(2014) and many more. Some of the Indian movies were also shot here. Few of them are Happy Ending(Hindi - Song: Jaise Mera Tu), Chalo Ishq Ladaaye(Hindi - Song: Chalo Ishq Ladaaye), Biwi No. 1(Hindi - Song: Chunari chunari), Anjaana Anjaani(Hindi), Vaaranam Aayiram (Tamil). The above pictures are taken from Battery Spencer, Marin County. I didn't know that about the bridge affecting how the fog rolls. Makes sense. Wonderful span across a fine expanse of blue waters. it when the mist rolls in. I have actually seen it in person, 1987 or maybe '88. Beautifully captured images and great writeup. Great to know about the relation of fog and the image provides a detailed view. Great pictures of the bridge. I didn't know about the role of bridge and the fog.